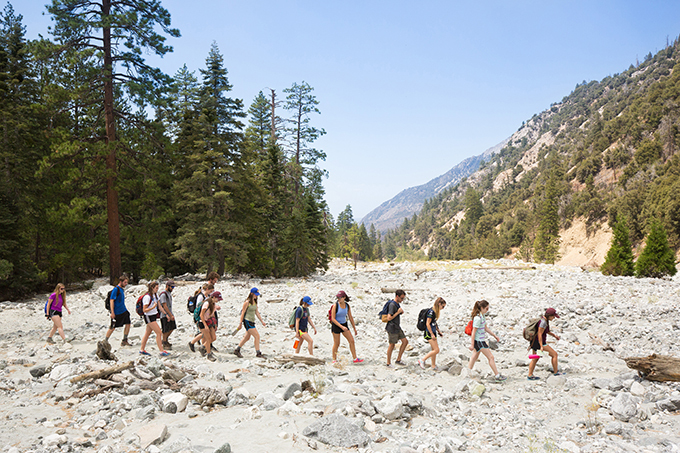 Each year before classes start, incoming freshmen at the University of Redlands have the opportunity to experience what we refer to as the First-Year Journey (FYJ for short). About 10 to 12 students group together and adventure to the local mountains or shores or take trips out of state. Led by two returning students, every group provides a chance for students to get to know their peers. 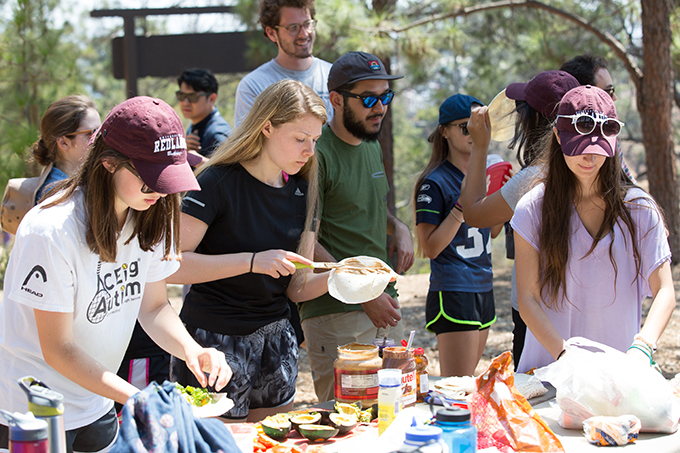 The array of First-Year Journeys this year include rock climbing and backpacking in the Sierras, camping and sea kayaking in the Channel Islands, and performing community service with Best Friends Animal Society in Kanab, Utah. New this year is an opportunity to contribute environmental service with the Wildlands Conservancy. Many FYJs are Outdoor Programs (OP) trips, which have their own food, rituals, and leadership roles, as described below. “Sammies” are popular during Outdoor Programs trips. The typical OP Sammy can be made from a pita or tortilla, filled with cold cuts, hummus, and veggies, such as avocado, tomatoes, and spinach. An OP Sammy is certainly the perfect fuel to power through an FYJ! Best of all, guac is not extra! Before you dig into your tasty OP Sammy, gather around with your peers for "chow circle." Take a moment to value the food you have prepared, where you are, and the people around you before spinning out and exclaiming, "Peace, love, and chow!" 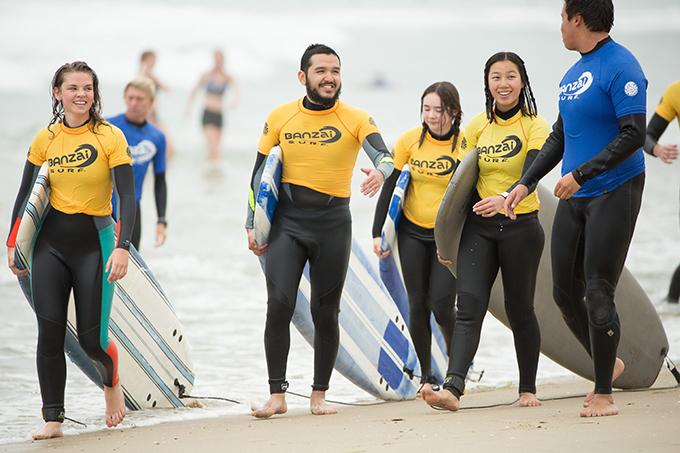 Outdoor Programs allows students to assume a leadership role over the course of the trip. On your FYJ, or any OP trip you embark on for that matter, you can either be the leader of the day, a chef, a member of the scrubby and tubby team (dishwashers), a medic (wielding the medic kit), an environmentalist (by leading the camp sweep), or a scribe, who pens a passage about the day to share during the evening program. Contributing is certainly an OP thing, so no one is left out! 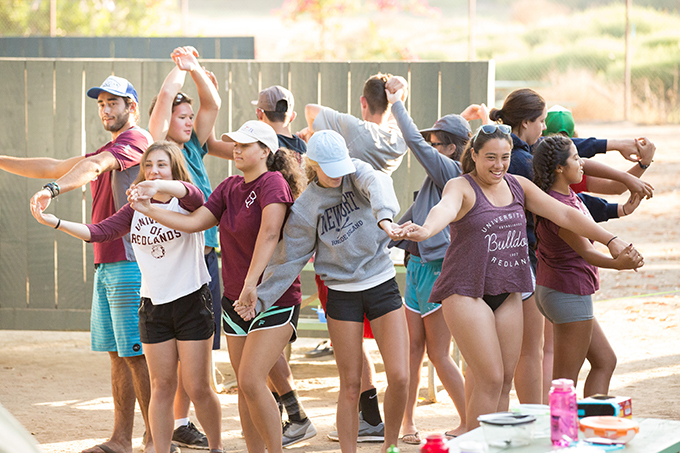 First-Year Journeys and Outdoor Programs trips alike provide Bulldogs with memories to cherish and friendships to value for years to come. For more information, see the First-Year Journeys and Outdoor Programs web pages. A very warm thank you to Amanda Woodle '19, a trip leader for the 2016 Southern California FYJ, for sharing her experiences with me!